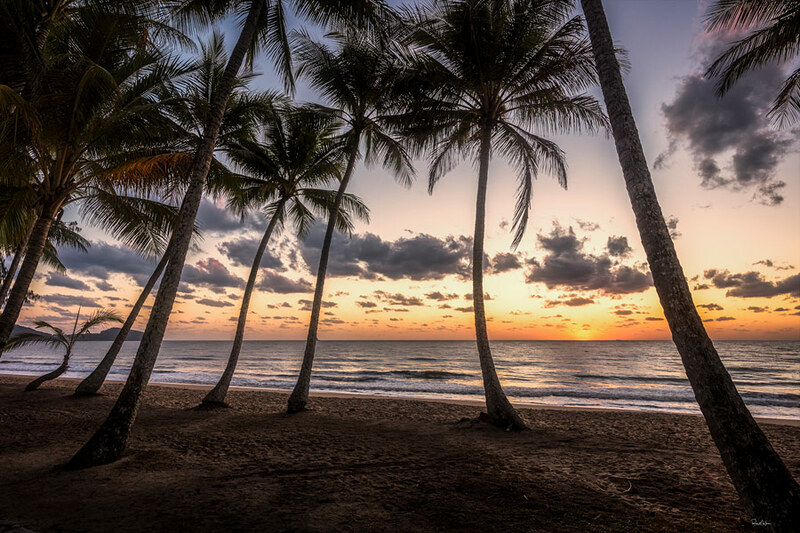 An early morning shoot at Palm Cove is something I always look forward to. As a luxury holiday destination it has it all. 5 star hotels, spas, restaurants, shops (& sometimes, crocodiles) – & it is all right on the beach. The palm trees along the shoreline provide some interesting compositional challenges – both in number & positioning. In the past, I have tended to highlight the odd one out – the ‘runt of the litter’ as it were, but with other photographers jockeying for position, that is not always possible. Clearly, this image was shot just as the sun was breaking the horizon & I was delighted with the colour in the sky. It really conveys the feeling of a tropical paradise. Happily, my ‘runt’ is still able to make an appearance, even if not centre stage.